I like black powder guns, whether they are rifles, single shot muzzle loaded pistols or revolvers. 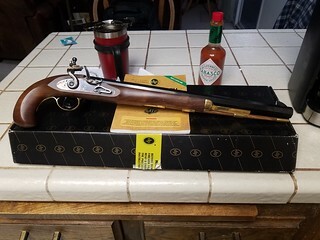 I found a flintlock for crazy sale, and decided to spring for it. Hey, I could be a car guy, and spend $50K just to start the restoration of a clunker........This is not an extremely cheap passion, but it's not that expensive either. Figure I should get all my toys before I retire, since I probably won't have that kind of discretionary funds then. 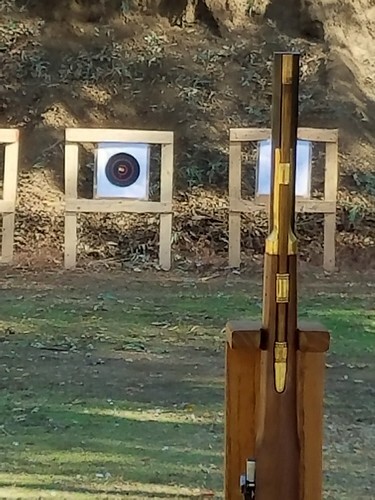 So, here are the nearly cartoonlike features of my new bp pistol... 50 caliber patched ball flintlock with a standard trigger and a 16 1/2 inch barrel. This is a Pedersoli Bounty Hunter. That's a manly sized bottle of Tabasco and a 20 oz mug for size comparison. 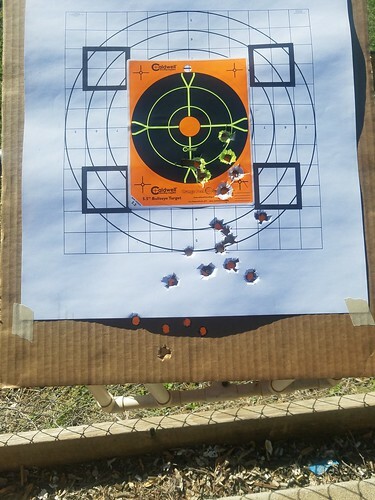 The last shot of the day was pretty close to where I want the gun to shoot, but more work will be necessary. 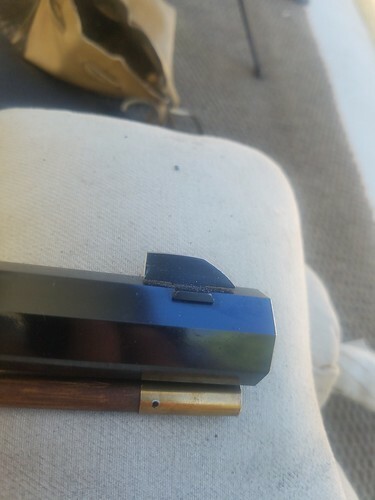 To get an idea of how much I had to file off the front sight, this picture shows that the 1/4 moon front blade is now really truncated.